Monosodium glutamate is a controversial additive to many processed foods. It is an amino acid that enhances foods’ flavor, but may cause adverse reactions in sensitive people. Monosodium glutamate may sound like gluten, and is often an ingredient in foods containing gluten, but it alone is not related to gluten. People diagnosed with an autoimmune disease called celiac cannot eat gluten, a protein found in wheat, barley and rye. Even trace amounts of gluten can cause damage to the small intestine and profoundly uncomfortable symptoms such as diarrhea, bloating, skin rashes, brain fog and weakness. If left untreated, celiac disease may lead to other chronic health conditions, such as certain types of cancer, osteoporosis and additional autoimmune disorders. When following a gluten-free diet, you learn to carefully scan all ingredient lists on packaged foods for potential gluten-containing ingredients. Monosodium glutamate, or MSG, is an ingredient in many processed and restaurant foods. 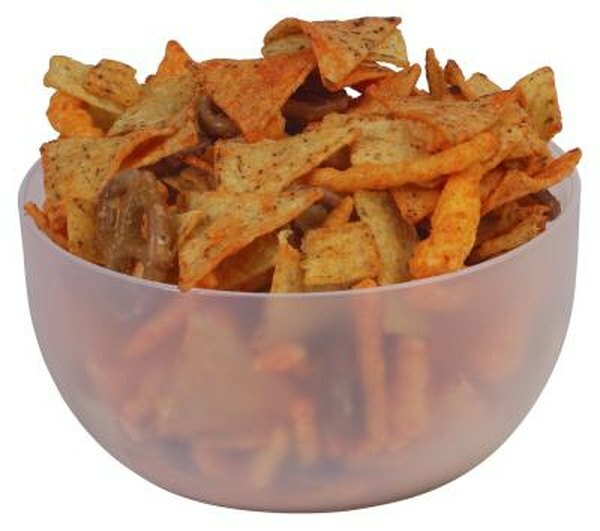 Manufacturers add it to snack mixes and crackers to bring out cheesy flavors. Chinese and Latin restaurants add it to dishes create more depth of flavor. Onion soup and some yogurts contain it. Ingredients such as hydrolyzed proteins, autolyzed yeasts and protein concentrates are other forms of synthetically made glutamates -- or amino acids -- added to food to create more flavor. These ingredients are essentially the same as MSG, but not labeled as such. MSG can cause unpleasant side effects, regardless of whether or not you have celiac disease. Symptoms include dizziness, headache, tingling, weakness, nausea, wheezing, heart rate changes and difficulty breathing. A study in the “Journal of Autoimmunity” published in February-March of 2008 linked MSG to obesity and diabetes in mice, leading the Japanese researchers to urge reducing the common usage of MSG in packaged foods. The Center for Science in the Public Interest, an American nonprofit watchdog organization, also urges manufacturers to limit or eliminate use of MSG in foods. You often find MSG in foods with gluten, such as snack crackers, garlic bread, frozen entrees and flavored chips. It also appears along with certain ingredients that can be confounding to gluten-free dieters. These ingredients, such as modified food starch, flavorings, enzymes and seasonings, may include barley or wheat derivatives and contain gluten. To avoid confusion and possible contamination, simply eat whole, natural foods as much as possible. Fruits, vegetables, raw nuts, milk, olive oil, plain whole grains and unseasoned meats, poultry and fish are naturally gluten- and MSG-free.